SpaceX’s Falcon 9 rocket was able to show off its impressive performance this week and exceeded expectations when lifting the heavy Intelsat 35e communications satellite into a high-energy orbit, giving the craft a head start on the way into its operational orbit and potentially adding several years to its operational life later down the road. The expendable Falcon 9 – flying without landing legs or grid fins SpaceX fans have come accustomed to – blasted off from Launch Complex 39A at the Kennedy Space Center on Wednesday at 23:38 UTC – marking the third Falcon 9 to lift off in a period of 12 days, setting a new record for the California-based launch provider. 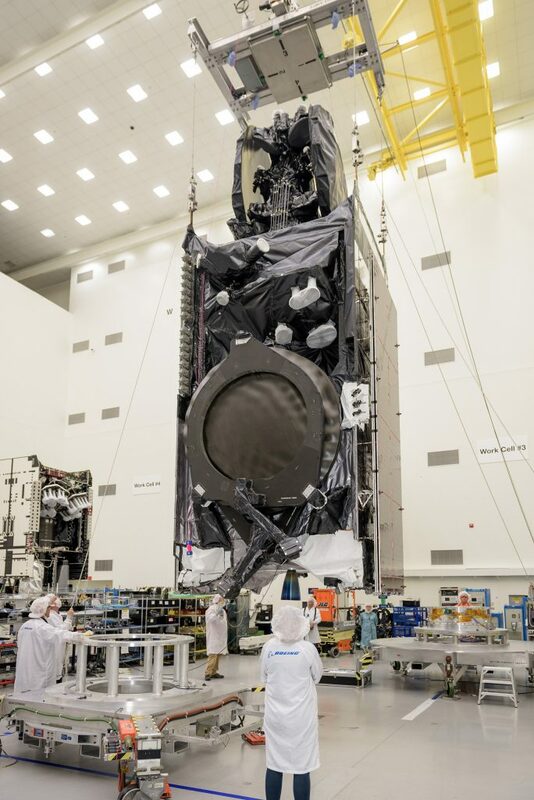 Wednesday’s mission required Falcon 9 to give all its performance to lifting the 6,761-Kilogram Intelsat 35e spacecraft, using up all available propellant on both rocket stages without making any attempt to return the first stage. 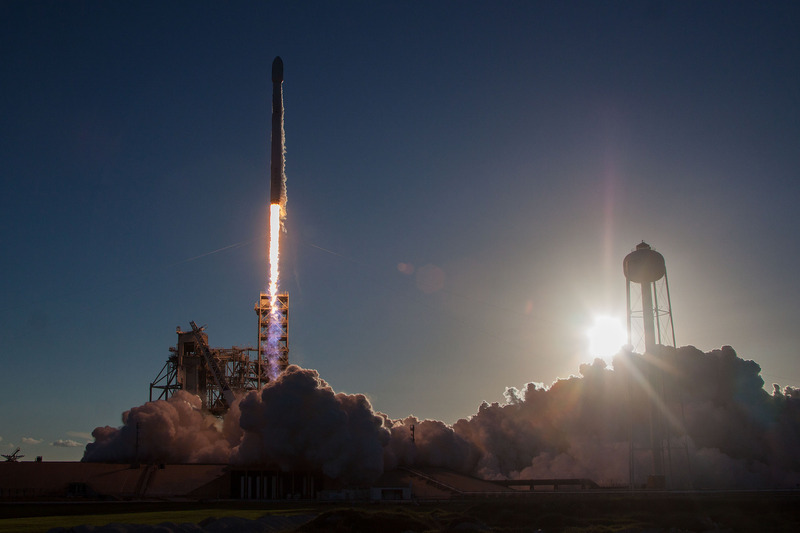 The flight marked SpaceX’s third expendable launch in 2017 and pushed the record for Falcon 9’s heaviest Geotransfer mission that previously stood at 6,086 Kilograms. 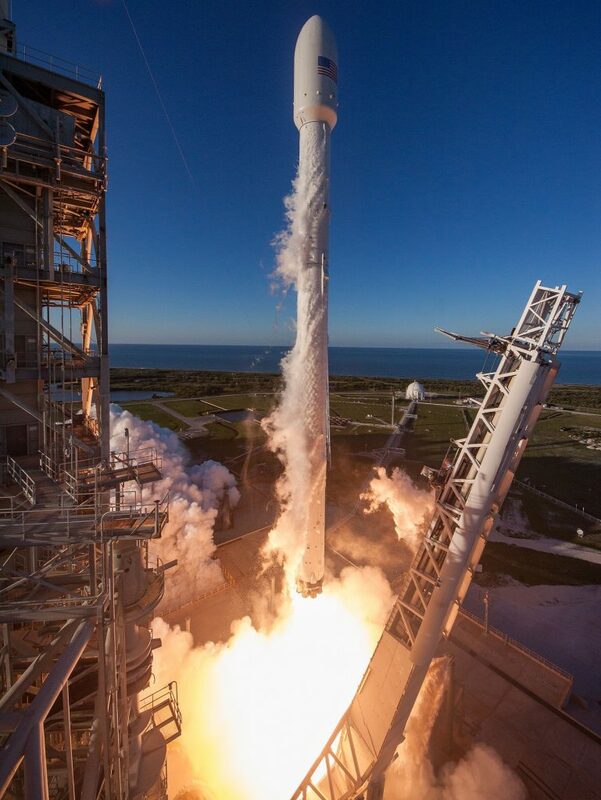 Thundering away from Florida’s Space Coast with a total thrust approaching 700 metric-ton-force, Falcon 9 fired its first stage for the first 163 seconds of the flight, accelerating the 70-meter tall rocket to 2.63 Kilometers per second. As the first stage departed toward a watery grave in the Atlantic, Falcon 9 fired up its 95,000-Kilogram MVac engine on a planned 5-minute and 44-second burn to enter a Parking Orbit in the usual two-burn GTO mission design that calls for an initial boost into Low Earth Orbit ahead of a critical re-start around the equator so that the high point of the highly elliptical target orbit would be placed over the equator on the opposite side of the planet. 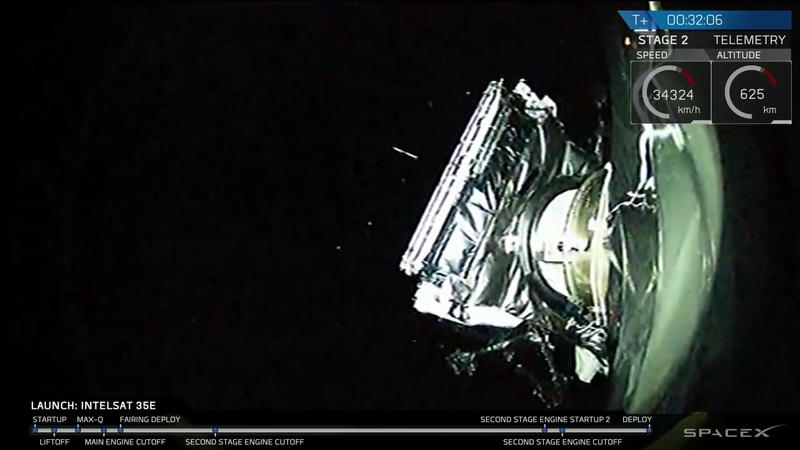 Falcon 9 reached a parking orbit of around 165 x 250 Kilometers and coasted for 17.5 minutes to reach the proper position for the second burn. The critical second burn was designed to run to depletion in what is called a Minimum Residuals Shutdown – allowing the second stage to use up all its propellants with some margin for a safe engine cutoff. This technique was used by SpaceX before to extract some extra performance but never with a satellite this heavy. 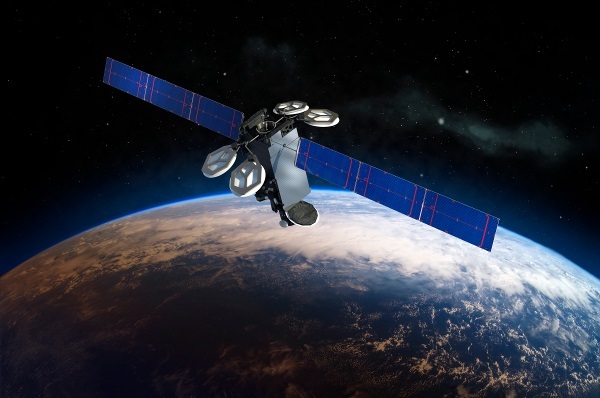 Per the mission requirements, Intelsat 35e had a minimum target orbit of 250 by 31,230 Kilometers, inclined 26 degrees to either side of the equator. This sub-GTO type orbit would have enabled Intelsat 35e to achieve its 15-year primary mission with its onboard propellant supply, but operator Intelsat was hoping Falcon 9 could provide some extra energy to gain additional propellant reserves on the satellite for a potential extended mission as today’s GEO satellites can typically outlive their 15-year lifetime specification if propellant is available. The second burn was expected to run for 52 seconds to reach the target orbit but ended up being around 58 seconds in duration, showing Stage 2 did have some extra performance in store in the form of available propellant. 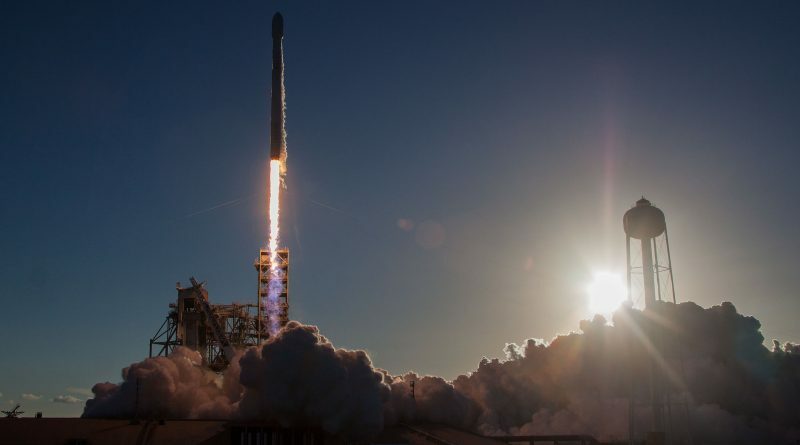 The delta-v provided by the second burn was around 2.49km/s and orbital data showed Intelsat 35e in a Supersynchronous Transfer Orbit of 296 by 42,742 Kilometers, inclined 25.85 degrees – confirming Falcon 9 outperformed substantially and turned the expected sub-GTO orbit into a slightly supersynchronous delivery. The achieved orbit is around 105m/s closer to the satellite’s operational Geostationary Orbit in terms of change in velocity needed by Intelsat 35e to reach GEO, equivalent to around two years of in-orbit stationkeeping which Intelsat will gladly accept to generate more revenue from the satellite beyond its lifetime specification. Although Wednesday’s mission could not show off another returned booster, it showcased a critical capability SpaceX so far had no chance of demonstrating: the launch of a 6.6-metric ton class satellite into a Geostationary Transfer Orbit. 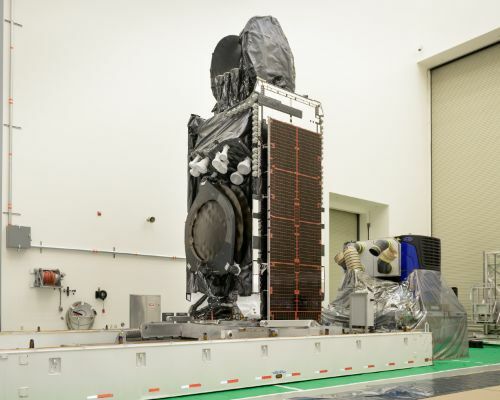 Intelsat 35e was on the heavy end of what is currently common on the commercial market. 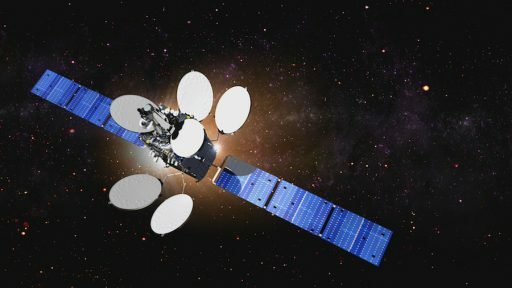 Intelsat 35e sailed off on its 15+ year mission 32 minutes after Falcon 9 blasted off, embarking on several weeks of orbital re-shaping to circle up into Geostationary Orbit where the satellite matches the speed of Earth’s rotation to remain locked in the same position relative to the ground. The craft is targeting a slot over the Atlantic Ocean, parking at 33 degrees West for around 45 days of checkouts ahead of a five-day drift over to 34.5°W where the satellite will replace the aging Intelsat 903 spacecraft that is approaching a well-deserved retirement after a 15-year mission. Intelsat 35e, the fourth ‘Epic’ satellite with an advanced digital payload, employs a combination of wide and spotbeams in C-Band and large Ku coverage areas to deliver high-performance services with spot beams enabling data-intensive services like wireless backhaul, enterprise and mobility services in areas where weather patterns necessitate the use of the more robust C-Band spectrum. The Ku-Band payload delivers a customized high-power wide beam for Direct-to-Home Television distribution in the Caribbean, and services for mobility and government applications in Europe, the Caribbean, and Africa. After a rapid fire campaign with three launches in 12 days, SpaceX is looking at a five-week gap before the next orbital launch, currently planned on August 10 with the Dragon SpX-12 mission carrying supplies to the Space Station. The company will make use of the downtime for work on Space Launch Complex 40 that is aiming for a resumption of launches in the fall, following the September 1st mishap that caused considerable damage to the facility. Launch Complex 39A will also receive attention with further dismantling planned on the former Rotating Service Structure employed by the Space Shuttle. Per the current plan, SpaceX will re-open SLC-40 for Falcon 9 launches at which point missions will transition from LC-39A, allowing that pad to be temporarily shut down for more invasive work as part of preparations for Falcon Heavy. The long-delayed Falcon Heavy is expected to reach the launch pad by the end of the year, aiming for what is described as a high-risk mission with a pair of refurbished side boosters that started their careers as stand-alone rockets.